SNAP is having their annual Plant Sale Fundraiser this Saturday, May 27th in our front parking lot. 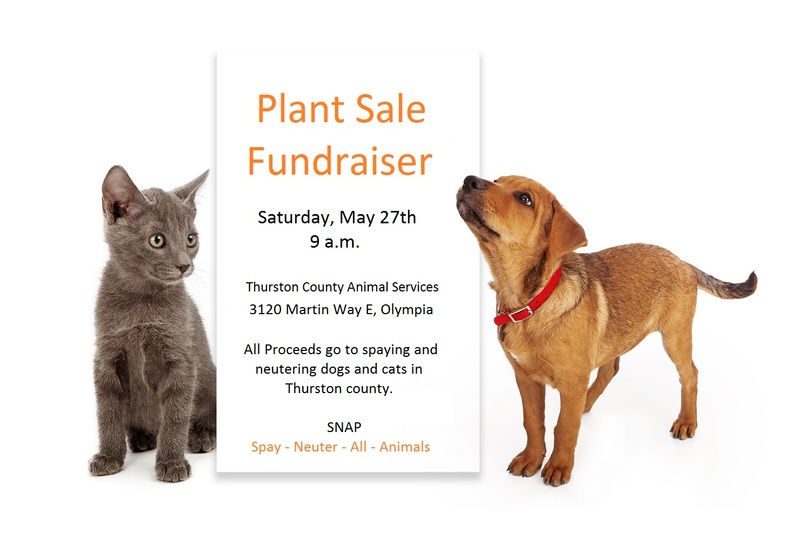 All proceeds go to spaying and neutering dogs and cats in Thurston county. This is for one day only so come on down and get some good plants at fantastic prices and support a great cause!